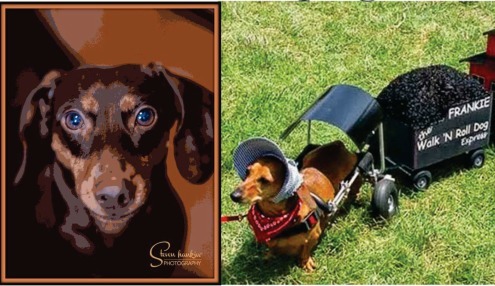 ​Ziva is the playful 6 year old Doxie daughter of Steven Hankin. One day recently, she was running in the backyard and collapsed. Steven took her immediately to the vet. The vet diagnosed her with a stage 4 luxating patella and torn patellar ligament. He said surgery is the only option. She is unable to move on her own. She must have her leg surgically repaired, if she is ever to be able to run and play, or even walk, as before. And the news gets worse. Ziva went for blood work and x-rays, and it was discovered that she has several bladder stones. The veterinarian says that they have to be removed before the surgery on her leg can be done, for fear of infections. God bless the members of our auction groups, whose selflessness, and generosity make these auctions successful. Thank You, Thank You, Thank You from the bottom of our hearts.